In today’s always-on, constantly-connected world, it is almost inconceivable to imagine a time when retailing was not dominated by 24hr supermarkets, mass merchants, and warehouse club stores. This notion would have been foreign and unimaginable prior to the 1980s, when catalog merchants were stalwarts of retailing with such names as Service Merchandise, Modern Merchandising, Best Products, Montgomery Ward, and Consumers Distributing being major retail players. Unlike self-serve retail stores, catalog merchants required customers to fill out order requests for items listed in the merchant’s catalog which would then be retrieved from the warehouse by store staff and brought out to the service counter for inspection and possible purchase. 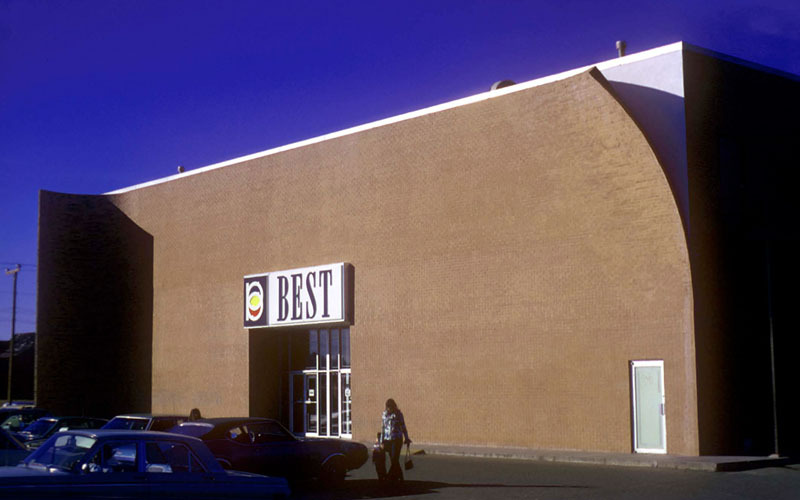 A trailblazer in the “catalog showroom” concept, whereby goods were offered for sale both via catalog-order and self-serve retail, Best Products, also referred to simply as Best, would go on to become one of the most avant-grade American retailers. A natural by-product of the catalog business, where the sale can happen long before the customers steps foot in the store wass that the stores did not require being exceptional, memorable, or inspiring. 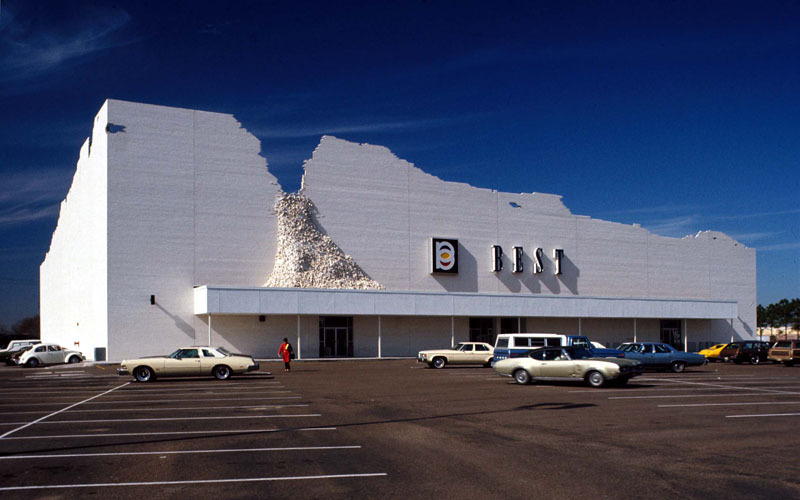 In fact, the business model almost demanded that the store architecture be forgettable and unspectacular. Pre-selecting merchandise from a catalog in the comfort of their home, customers could opt to pick it up at a Best store, or alternatively, choose to have the merchandise sent directly to their home, avoiding the stores completely. The Best showrooms served an almost singular transactional purpose, and were designed to do that optimally. A basic rectangular box, the typical Best showrrom espoused simplicity, low cost, and afforded speed of execution in the construction phase. The showroom was small, compact and located in densely populated areas with abundant parking. 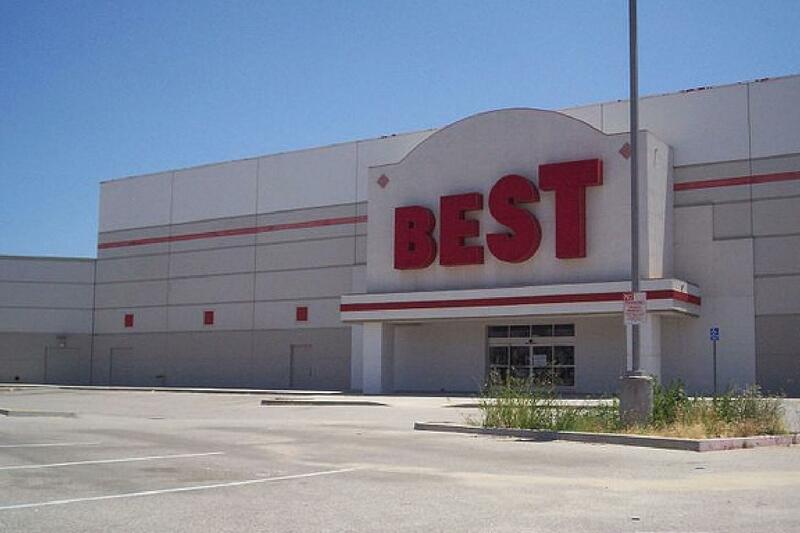 Best stores could afford to be architecturally unexceptional. The showrooms did not attempt to seduce, entice and entertain, they were designed for the convenience of commerce. That which Best lacked in cachet against the department stores was compensated for by comparatively lower prices. However, the catalog model would be seriously tested as the price advantage that catalog merchants enjoyed would soon fade as a new retail concept took hold and a legislative change came into effect. 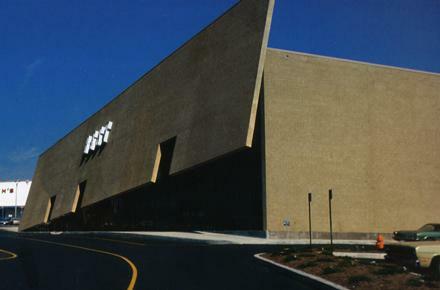 Price Club, founded in 1974 launched the warehouse retail business which would continue unabated. A year later, the US Congress repealed fair trade pricing. Along with the rest of the industry, Best was clearly challenged to be spectacular, memorable, and exceptional. The standard functional rectangular box with the equally bland and forgettable facades were enhanced by whimsical and expressive designs. 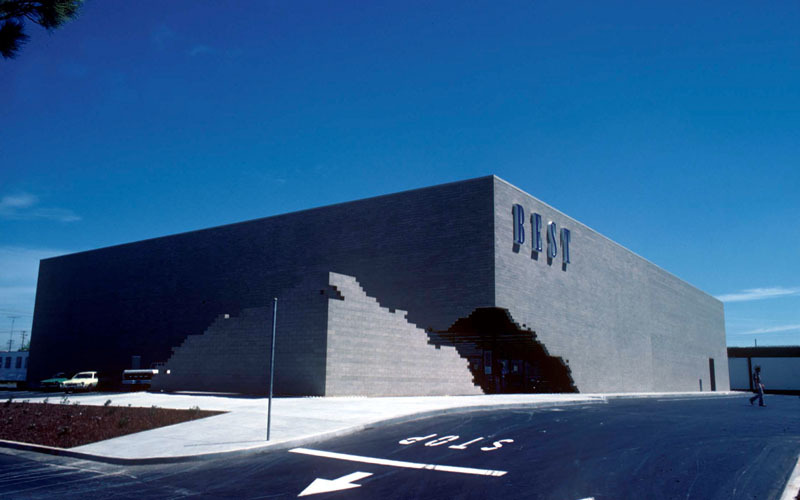 Each of the SITE designed showrooms served both the business purpose while also offering social commentary, architectural interpretation, and unique destinations finally worthy of exceptionalism. United by their uniqueness under the comprehensive theme of challenging the status quo, the Best showrooms were being transformed into desirable destinations, as opposed to merchandise pick-up booths. The Best showrooms by SITE were such a radical departure from their more pedestrian lineage that it was difficult not to notice. 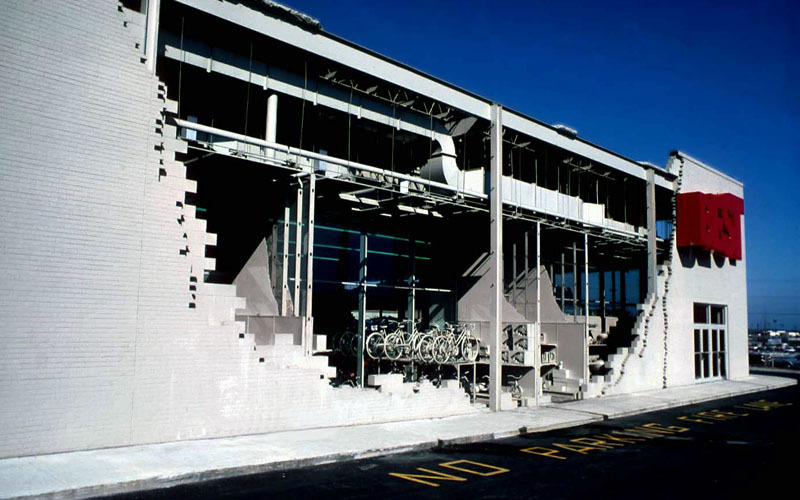 In December of 1979, the Museum of Modern Art (MoMA) opened an exhibit showcasing six façade designs by SITE for Best, along with models, photographs and commentary. 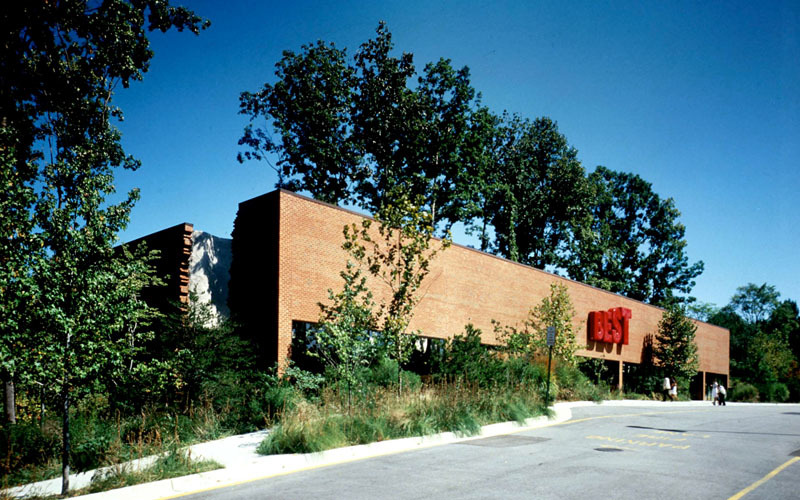 In 1979, Best would also collaborate with other architectural firms. 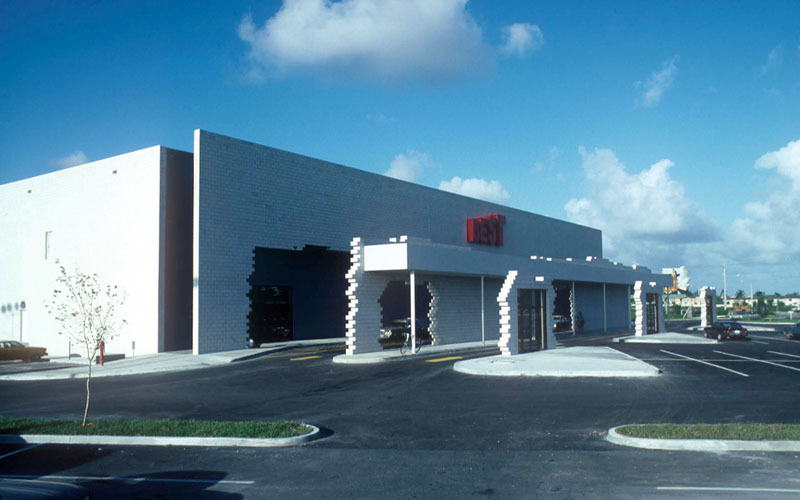 Venturi and Rauch produced a colourful tapestry in the form of a flower-print porcelain steel panel clad façade to adorn an otherwise functional box store. 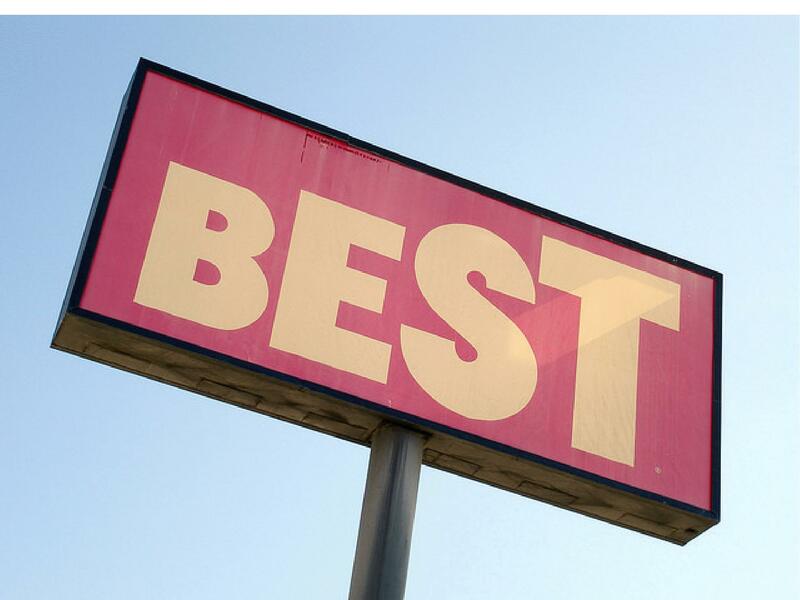 At the height of business, Best Products operated over 200 stores across the USA. Best had by far many more conventional and less dramatic showrooms, yet they are instantly remembered for a handful of odd, whimsical and exemplary stores which stretched, and subsequently tore apart the artistic envelope. Many of these unconventional showrooms have gained iconic status, becoming landmarks, tourist curiosities, and local attractions. 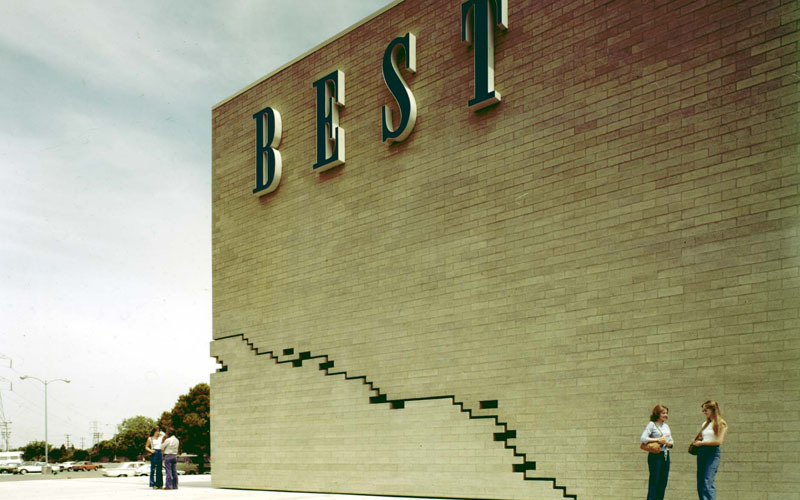 Although Best crafted a memorable Architectural Identity leaning towards experiemental and unconventional designs, it was hampered by a business model which had become outmoded and superseded by the mass merchants, club stores, and internet retailers. Many of the Best showrooms have since been torn down, converted, adapted or altered to be better suited to more conventional purposes, or to remove their artistic elements. 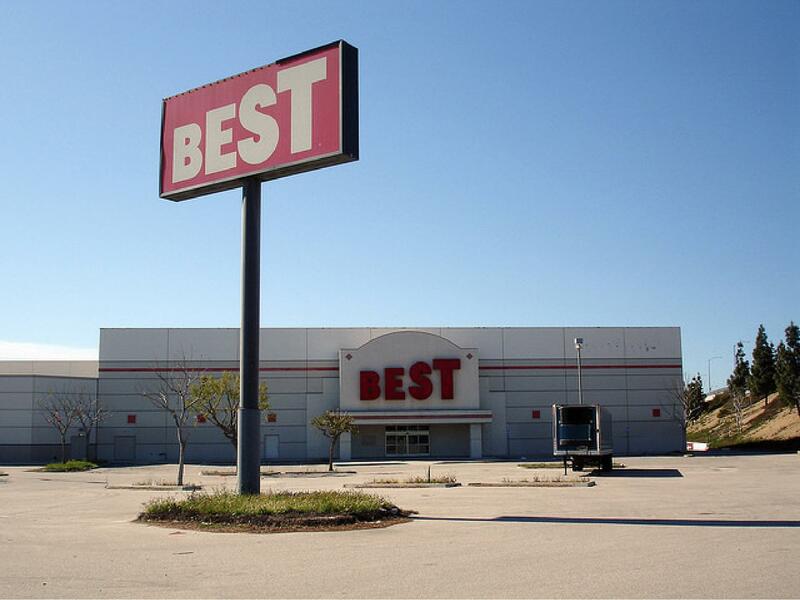 As an architecture student, the Best Products showrooms by SITE were quasi de facto required reading for contemporary retail architecture. 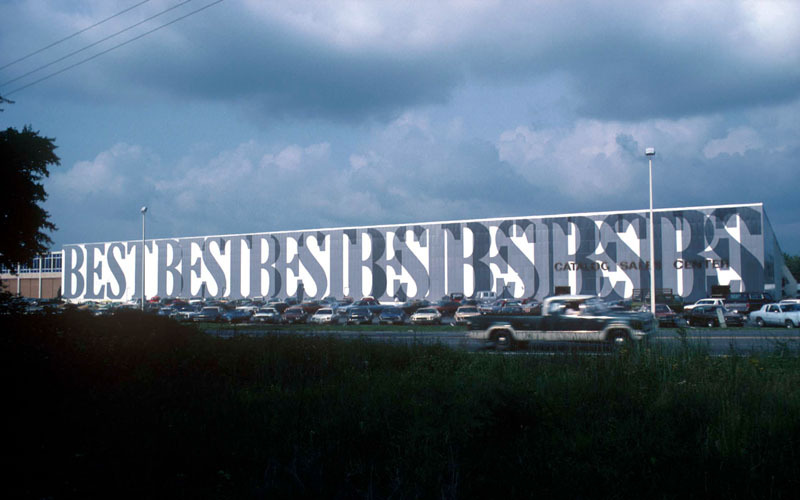 Due to Best Products’ willingness to experiment, challenge the accepted norms, and craft a truly unmatched Architectural Identity, the Best brand has cast a long shadow in retail design that remains undeniable, unforgettable, and truly innovative. Disclaimer: All brands and trademarks are property of their respective owners. marc lortie is an Architectural Designer (Technologist) currently based in Ottawa, Ontario (Canada). marc has several years of experience working in Canada and the USA on various projects, including commercial shopping centres, big-box stores, industrial plants, educational facilities, warehouses, storage facilities, intermodal facilities, hotels, offices, and residential developments. marc is a graduate of Carleton University, Algonquin College and La Cite Collegiale. Best had a really generous return policy, maybe too generous. I liked seeing orders come down the conveyor belt when I was a kid. Loved the video you recommended. Had no idea about these wonderful stores. Ours was nothing special.